your skill, intelligence and perception. 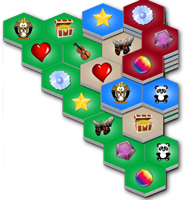 Download the wonderful new puzzle game jalada Chungu and play it now. It is absolutely free. Forget your day and plunge into the river of time that brings you the tiles of this wonderful new puzzle game jalada Chungu. Once you enter the world of jalada Chungu you want never get out. It fascinates your imagination, trains your attention and brings relaxation to your tense feelings. Obsession awaits. 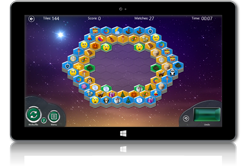 The game of ivory tiles, played by seafarers, scoundrels, and emperors of the Far East for thousands of years, is presented to you in modern form for all your Windows 8 devices. 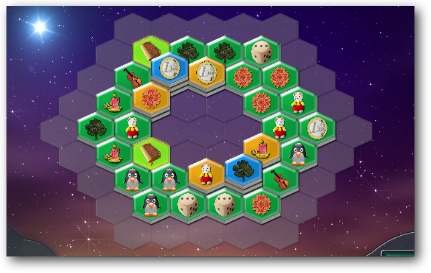 Your mission is to remove all tiles out of the board by pairs. Select two free tiles with the same picture and they disappear while revealing new tiles underneath. Tiles can only be matched with other identical tiles, and must also be free to slide out of the puzzle. If the tile is locked in place it cannot be matched. Each puzzle has a different structure, which requires a new solution - often with a new strategy as well. After successfully solving a puzzle, jalada Chungu will award you with a new challenge. jalada Chungu is a game where you not really lose. 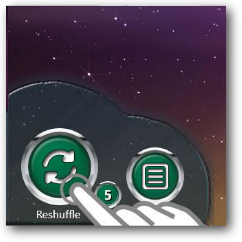 With the dynamic undo and the reshuffle system, you have the option of rewinding to fix mistakes. Instead, you are competing against yourself, that is, the time you will spend for every level, which means you can play the puzzle game jalada Chungu at your own pace. That is why the game is so relaxing. jalada Chungu is specially designed to help keep your brain in shape. 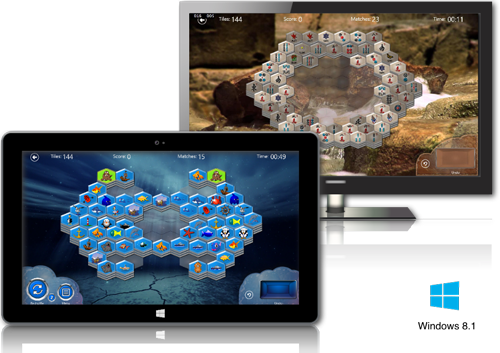 The combination of easy control, simple to learn plus three levels of difficulty makes the puzzle game jalada Chungu a nearly never ending game experience, perfect for beginners and experts alike. 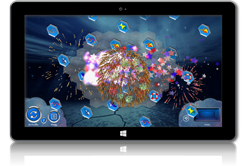 Enjoy the gorgeous graphics and relaxing sounds with multiple themes to choose from. Complete puzzles at three levels of difficulty. jalada Chungu is absolutely free. Three levels of difficulty plus three different themes. Shuffle, hint and undo - for relaxing, stress-free play. Download this new puzzle game jalada Chungu and play it now. The object of jalada Chungu is to match and remove alike tiles and get rid of the entire stack of five layers. A tile is said to be open or exposed if it can be moved either left or right without disturbing other tiles. 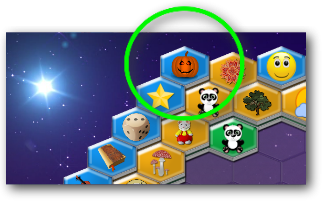 The game is finished when all pairs of tiles have been removed from the board or when there are no exposed pairs remaining. Free: No other tile is lying above or is partially covering it and a tile has less than 5 neighboring tiles. Whereby each stone at a higher level is also a neighbor. Pairs: One must remove the tiles in pairs. Two tiles are identical if they possess the same identical pictures, such as 7 and 7, or King and King. Any of these tiles can be matched up with another. 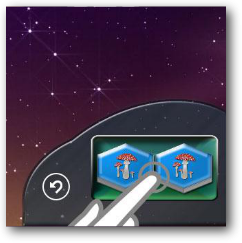 Click on the first tile of the desired pair to highlight it. 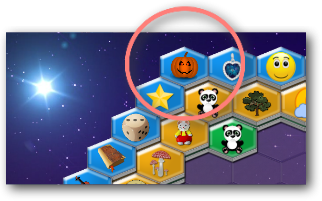 Click on a second tile with the same symbol that is free to remove the pair from the board. If you decide to cancel or change the first tile that you selected, you can simply click on the new one. 1. When removing a pair, an identical pair exists in the layout. Check if the other pair has any problem being removed later or one of the tiles you want to remove now should rather be used with another of its kind. 2. Long rows and tall stacks are hardest to remove and block the most tiles. Work on those first but still keep the other strategies in mind when doing so. Plan ahead to see which areas might have problems and which tiles need special attention, so you do not remove a pair and get stranded with one you cannot remove. 3. If all of a kind can be removed, do so straight away to clear space. An emptier board is much easier on the eye and mind and after all, the objective is to remove all tiles anyway. 4. Using the hints shows you one possibility, not the best one. Following this advice might lead into a dead end. 5. If you have the choice between 3 tiles, keep the one that is least affecting the rest of tiles. In other words remove the one that frees up the most tiles. 6. Players who run out of legal moves before the tiles are completely cleared are deadlocked, and depending on the game mode may be able to shuffle the remaining tiles. A fun challenge for the mind. This is just what I was looking for. This is great fun and good mind exercise. I recommend this to everyone who likes a challenge. Ce jeu est très bien pour se détendre,ça relaxe.Le graphisme est très bien,je le conseille. This is an exciting game of Mah Jong. I spend a lot of time doing a varity of these type of tile matches to keep my mind sharp. I'm just now 70 and all my life I've done many games and I can tell you, I'm pretty good both in my ability to think and my physical shape because I use the games as a break and reward for completing tasks about the house. I'm never bored and don't get tired out when I keep myself active! Don't get the idea Mah Jong is for old people, it's NOT! Any age can play, this is why it's fun and some tile matching games are NOT easy! Wunderschönes Solitaire Spiel in Mahjong-Manier. Einfach nur fun! I downloaded the game yesterday and played for hours. The best Mah Jong Solitaire I've ever played. Molto divertente. Un modo piacevole per occupare il tempo libero. La migliore di questo genere con nuovi livelli giornalieri. Divertimento per tutte le età. Este para mi es de los mejores y al ser HD, es ideal para mi tablet. No ocupa mucho, y como suele pasar con este tipo de juegos, pues es para echar unas partidas casuales. Love this game. 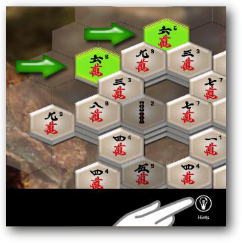 Fun and entertaining If you like mahjong you will like this game, Fun for the whole family. Das Spiel macht richtig Spaß. Vor allem meine Kinder sind begeistert. Von der Idee ist es so ähnlich wie Mahjong, aber viel intuitiver zu bedienen. Hay muchos juegos de Mahjong...pero para mí,éste es el mejor y tambien es el más bonito y se ve en HD. Very nice Mahjong game. I don't play many Mahjong games, but for anyone who likes this type of game, I highly recommend it. me encantan los mahjong,semepasa el tiempo sin darme cuenta.Una pega que pueden resultar un poco repetitivos, pero me gustan.Espero saquen mas diversiones como esta. 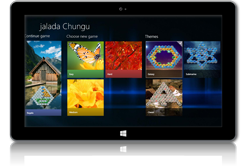 jalada Chungu - The great puzzle game to train your skill, intelligence and perception.